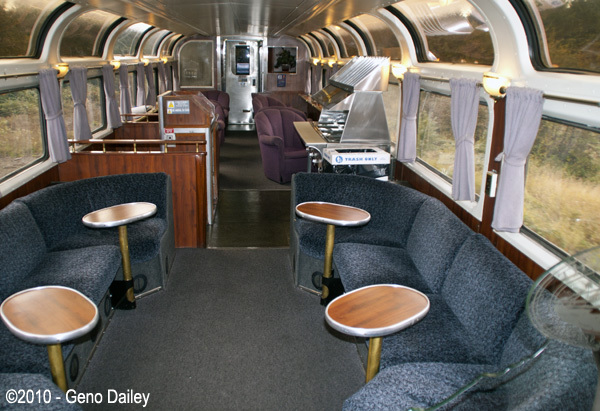 The Pacific Parlour Car is a First Class lounge car that operates exclusively on Amtrak's Coast Starlight between Los Angeles, CA and Seattle, WA. It is open only to passengers carrying a Sleeping Car ticket. 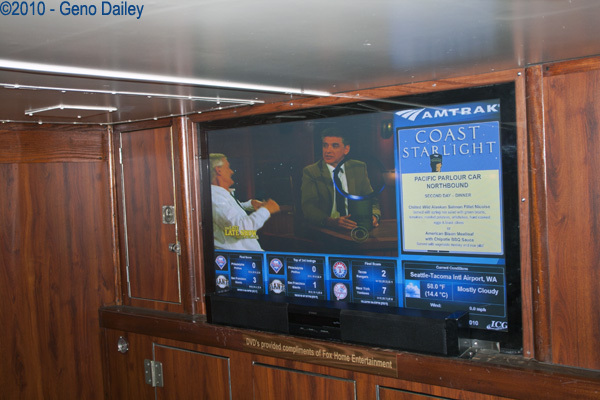 The car features many amenities including a lounge area, library, dining area, bar, and theater. Amtrak owns 5 of these cars total which were built in 1956 by The Budd Company for the Santa Fe Railway. 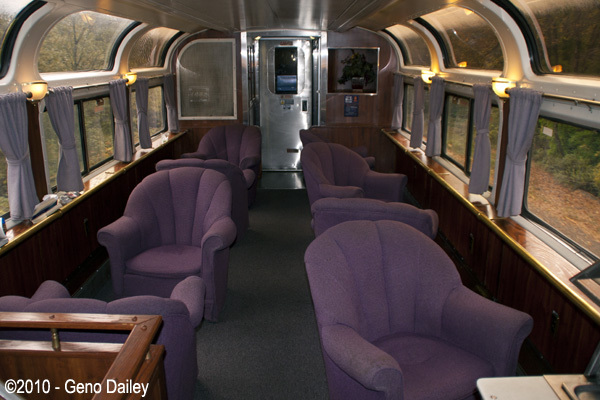 Budd also made coaches and sleeping cars similar to this car, many of which operated for several years on Amtrak but have since been retired and/or sold off. 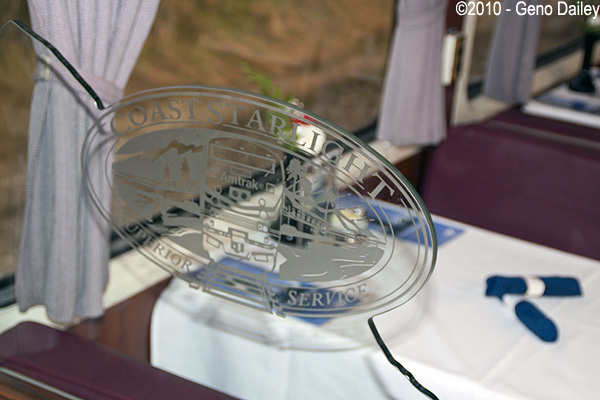 In recent years, Amtrak refurbished these cars and named them after different areas where there are a large number of vineyards and wineries. The car featured today will be #39973 - "Santa Lucia Highlands". 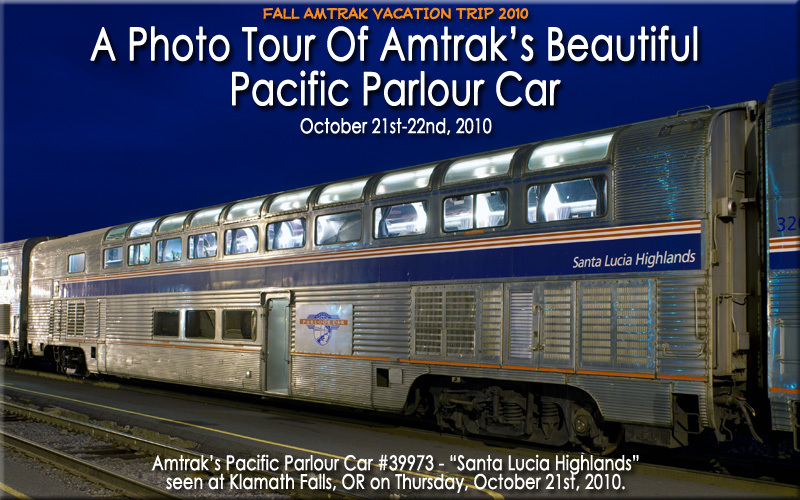 Amtrak named the other cars "Columbia Valley", "Napa Valley","Sonoma Valley" and "Willamette Valley". Included here is a photo essay of this beautiful car. 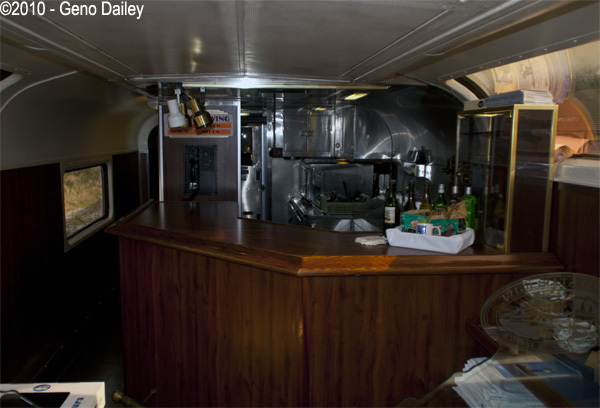 The Bar Area where you can pick up a drink or a bottle of wine along with select Coast Starlight souvenirs. dining car which is the next car in the train. One of the glass decorative pieces on the end of the dining area. 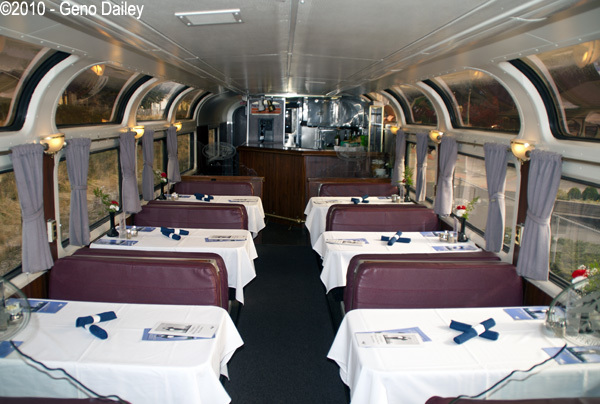 here so you have the option of eating here or in the dining car. I recommend you do both! A lounge area with small tables for drinks/cocktails. 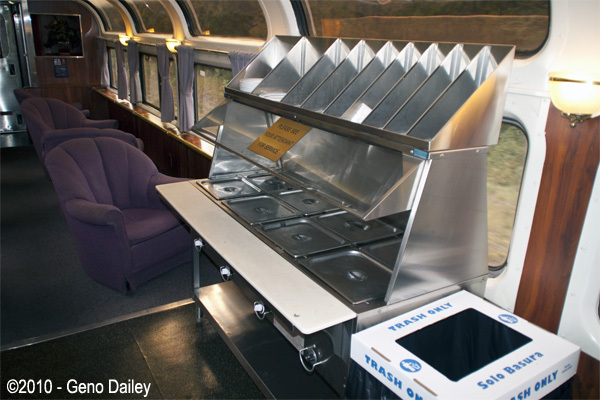 A steam table which stores the food served during select meals in the car. 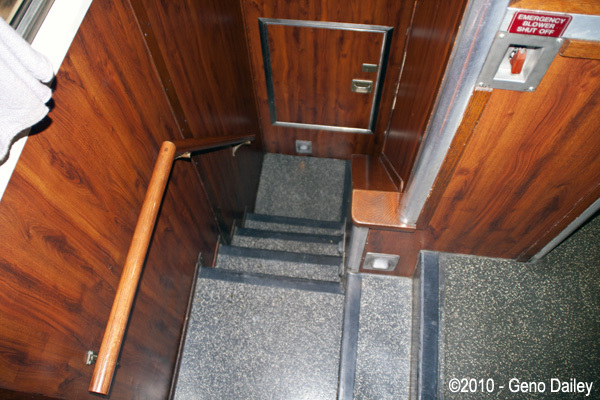 The staircase to the lower level of the car which houses the theater. is on the left side next to the door and features books & board games. 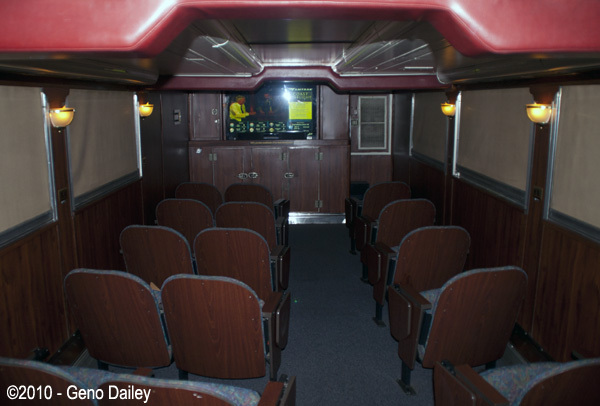 The theater which occupies a good portion of the lower level of the car. The big screen TV in the theater. That's all folks!